This past weekend, while watching “Frozen” with Lily and a few of her friends, I sat in the darkened theater, hoping against hope that the “act of true love” needed to save the story’s spunky heroine would involve the young woman’s long-estranged sister instead of the male lead. Well, wonder of wonders, folks. It DID. And I couldn’t have been happier. 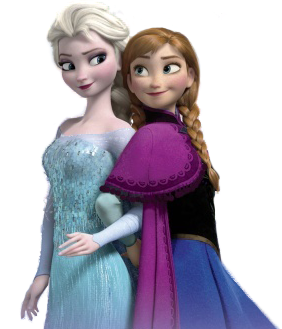 Not just because “Frozen”’s creators deliberately chose to forgo the tired, predictable Prince Charming paradigm; but also because I’m currently doing my damnedest to cultivate a positive, enduring sense of closeness between my two young daughters.